1) Right-click "Client Manager" on main interfaces of CCBoot, and then click and choose "Auto Allocate Boot Server". 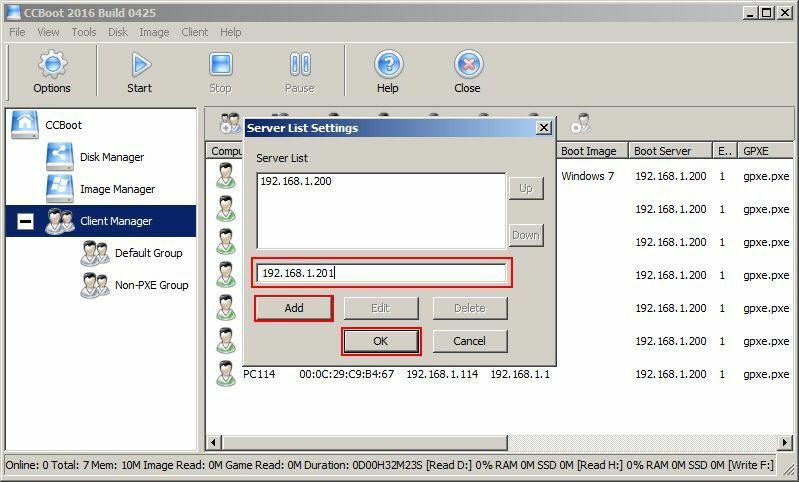 2) Enter server IP address In popup dialog box of "Server List Settings", then click "Add" button and enter server IP address, then click "Add" button, and lastly click "OK" button. 3) Open CCBoot installation directory of server A,and copy two files of "CCBoot.ini" and "db.xml" on a USB drive. 5) Once copied Restart the CCBoot Server Application to use the copied files. 6) Now your two server will be In Load Balance setup. 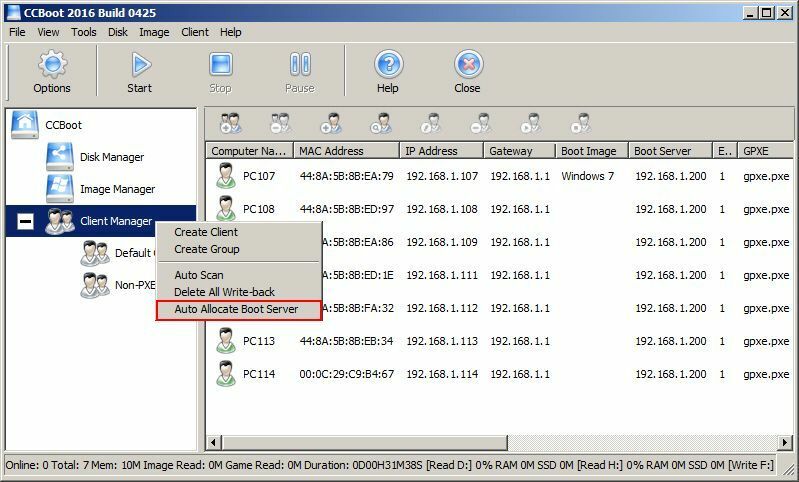 If you wish to use a load balance server then you need to have the same amount of client or atleast have the amount or primary server user license so that second server can work as load balance server. You cannot use the same license on both server, in doing so your license may be locked or worse disabled. 2) The second client PC from server with IP "192.168.1.201". When you have multiple server, then you can easily sync your settings and images using our "Synchronize" function.